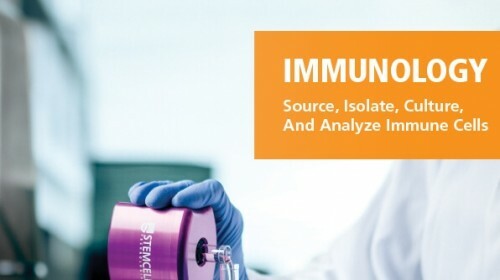 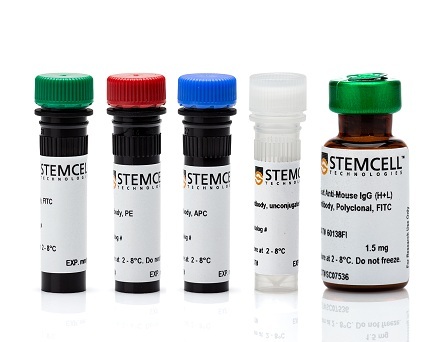 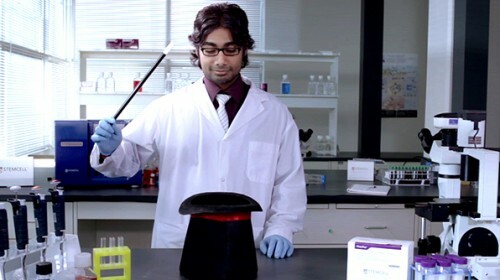 Isolate highly purified naïve CD4+ T cells from single-cell suspensions of splenocytes or other tissues by using a simple, two-step method. 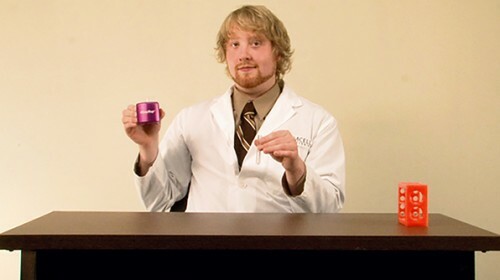 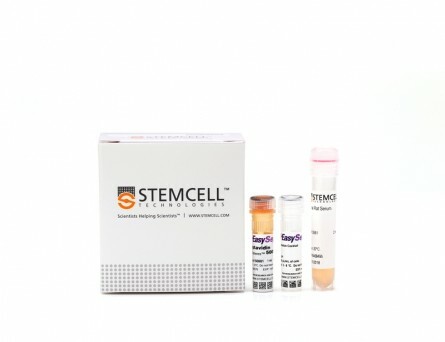 First, naive CD4+ T cells are pre-enriched by negative selection using the EasySep™ Mouse Naïve CD4+ T Cell Pre-Enrichment Cocktail containing biotinylated antibodies directed against non-naïve CD4+ T cells (CD8, CD11b, CD11c, CD19, CD24, CD25, CD45R, CD49b, TCRγ/δ, TER119). 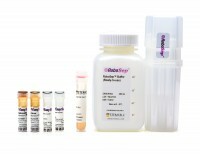 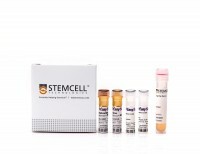 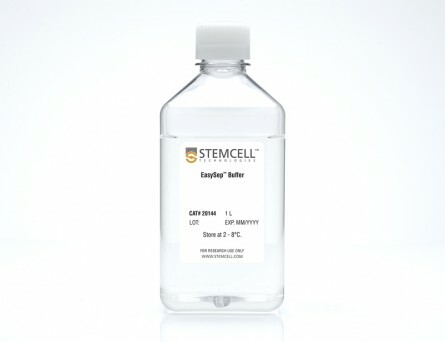 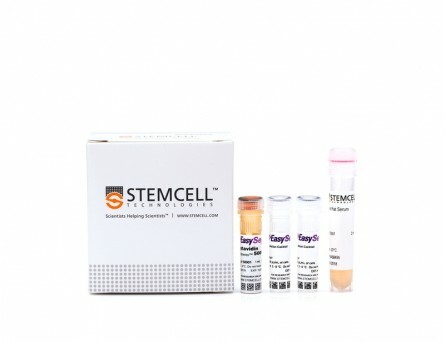 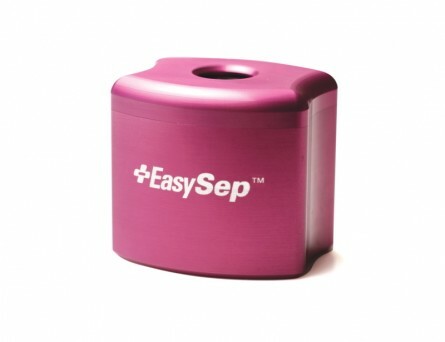 Then CD4+CD62L+ cells, pre-labeled with CD62L PE, are selected using the EasySep™ PE Selection Cocktail. 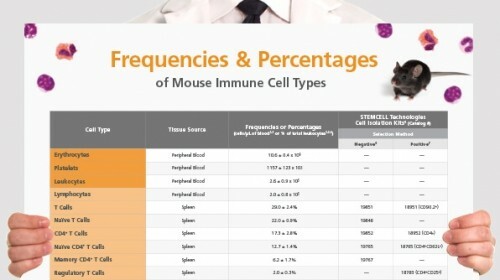 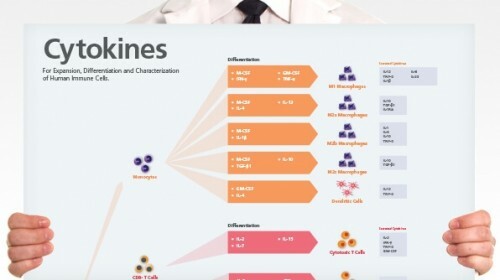 The desired cells are labeled with antibodies and magnetic particles. 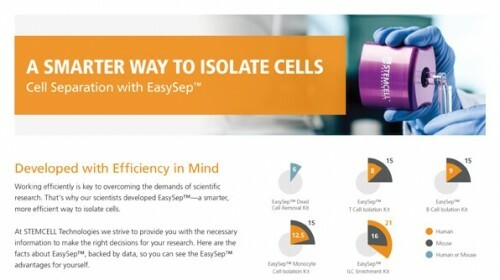 The cells are separated without columns using an EasySep™ magnet. 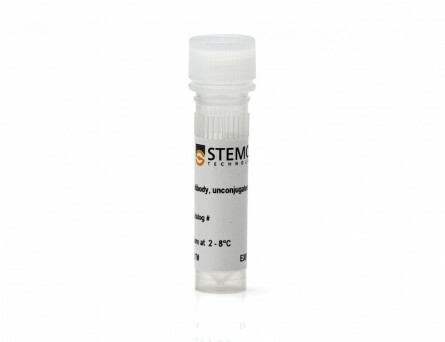 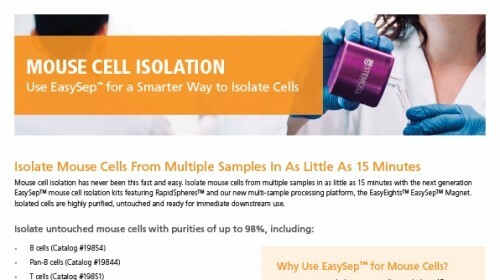 For the isolation of mouse naïve CD4+ T cells in as little as 15 minutes by negative selection, we recommend using the EasySep™ Mouse Naïve CD4+ T Cell Isolation Kit (19765). 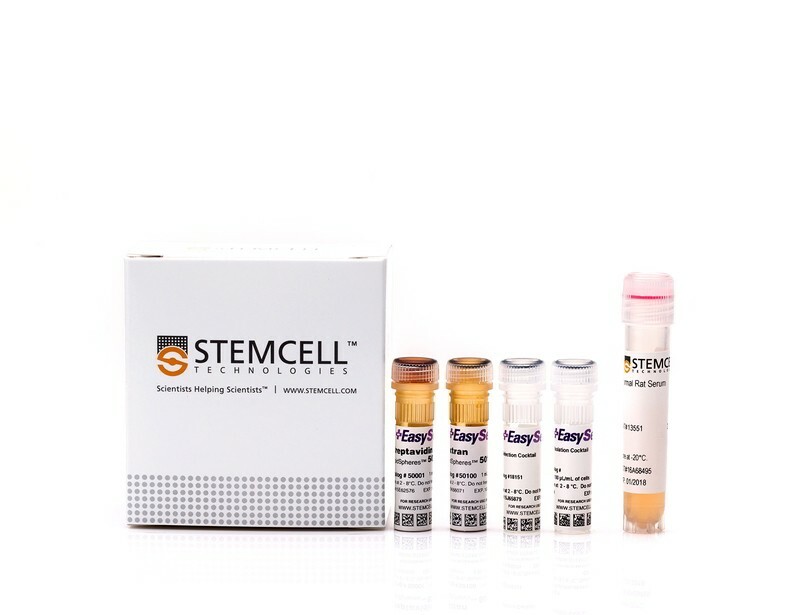 Starting with a single-cell suspension of splenocytes, the naïve CD4 + T cell (CD4+CD44low CD62Lhigh) content of the final isolated fraction typically ranges from 91.7% - 96.7%. 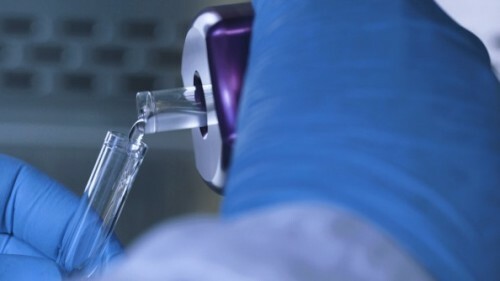 In the example above, the final purities of the start and isolated fractions are 17.9% and 92.4%, respectively.